I don’t get as much time to network and share as much as I used to, especially when it comes to the amazing movement of Digital Leaders in our schools across the country. 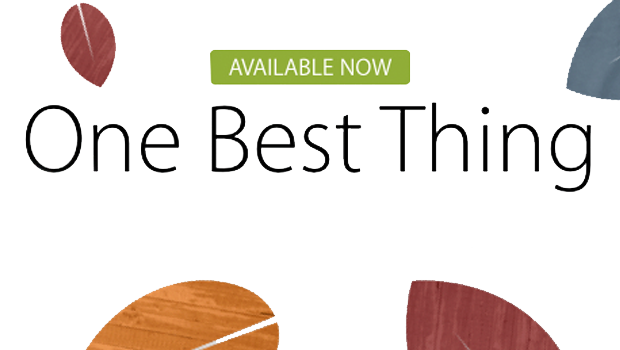 When I was at the Apple Distinguished Educators Institute back last August however and we were asked to think of and pick our ‘One Best Thing’ to write a book about, it was a no-brainer. My old Digital Leaders were and still are amazing. The iPad project that I worked on at that time and the use of technology in the school wouldn’t be where it was without their amazing support. This book goes through some of the things that I did in relation to DLs in my previous role and has some pretty cool interactive features too – even if I do say so myself! If you’d like to learn how to include some of those features yourself, I’ve written about how you can do this here. The ‘One Best Thing‘ collection is absolutely amazing. The ideas held in these 102 brand new published books on iBooks cover so many different topics. From PBL to digital field trips to Numeracy, Geometry, Twitter, story writing and much much more. I strongly urge you to check them out. I am. And I’m still learning. If you’d like to check out mine, you can do so by clicking the banner below or on the side navigation on the right. Oh yes. And they are all free. Is there any reason why I wouldn’t be able to find this book in the iBooks store on my phone? I really want to see it but it says there are no results?! They’re only available in iBooks on Mac or iPad sorry Sarah. Probably why you can’t see it.